Or should the headline read; $111 thousand Lexus (and well worth it) meets Toyota's $44 thousand Avalon (and well worth IT). No, dear reader, I am not making this up . The price difference is a staggering 67 or so thousand dollars. Yet, side by side you would really have to know your automobiles to tell difference. In fact even the Camry my neighbor has also looked pretty identical if a fraction shorter. So, I hear you ask-what is the big deal? 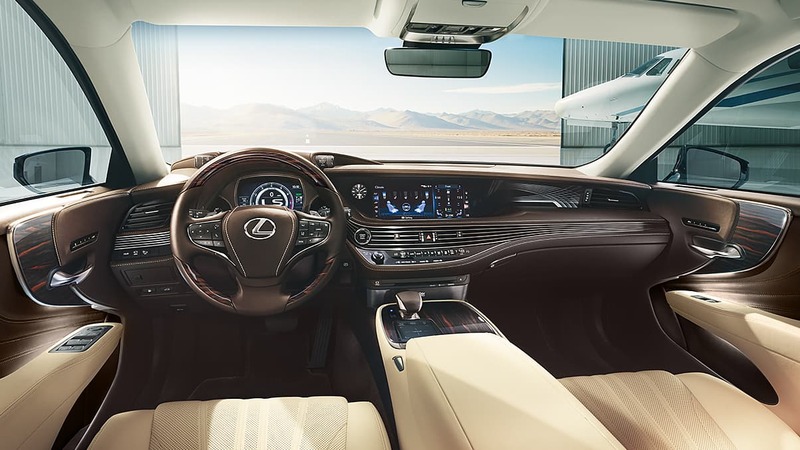 How can a Lexus LS 500 cost so much more? Well, this is an interesting story. 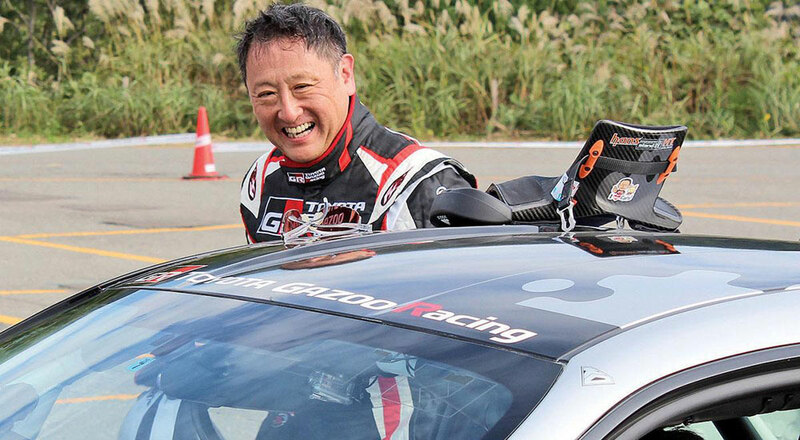 Toyota Corporation’s President-one Akio Toyoda issued a decree: “No more boring cars”. Understandably so because the average age of Lexus owners was hovering on the wrong side of 50.Those cars may look as if they from the last Century-I am not too far off-and many of them are still running. I know a lady aged 95 and an owner who just had her license renewed for another 5 years! Would not dream of trading the trusted Lexus for anything else. Well, this was President Toyoda’s problem and the results are spectacular. He also decided that he needed a subtle flagship. You might call it a Q car, the type where you expect something and it turns out to be something very different. 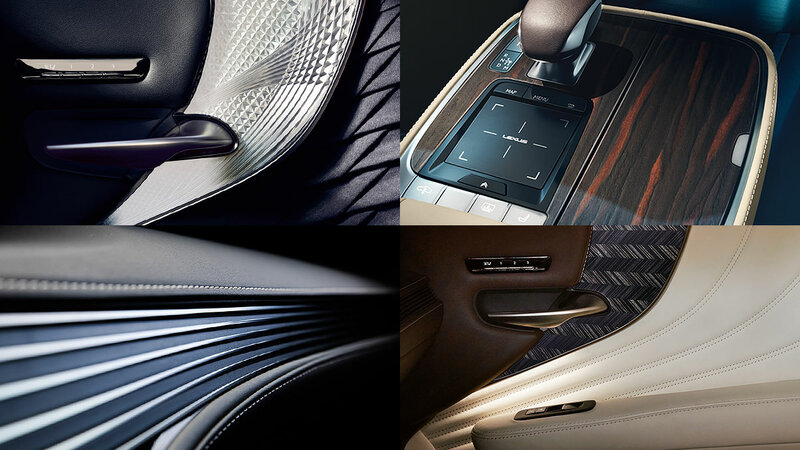 Enters Junko Itou-an interior designer for Lexus. She was given a very special assignment. Namely to turn the interior of the LS 500 into something the President would be truly proud of. Is also had to have a Japanese flavor. So Junko Itou got to work. She picked the wood of the sakura, Japanese for cherry tree. She also commissioned artisans for the doors to be inlaid with panels of textured crystal produced by a unique form of glass cutting known as kiriko. The artisans doing this work are known as takumi-the absolute best craftsmen and women in Japan. The dashboard resembles a string of Koto, Japan’s national instruments. In a way President Toyoda was determined to show to the German rivals-primarily Mercedes and BMW that they did not have a monopoly or should I say duopoly on truly expensive cars-aside from Rolls and Bentley which kick in at over 300 thou. 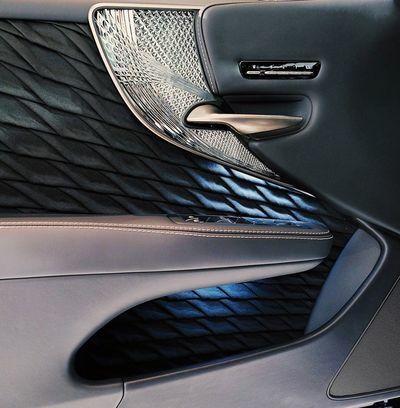 But Lexus were not done with the visuals, they had another trick up their sleeve and one which I have never ever seen or experienced before. 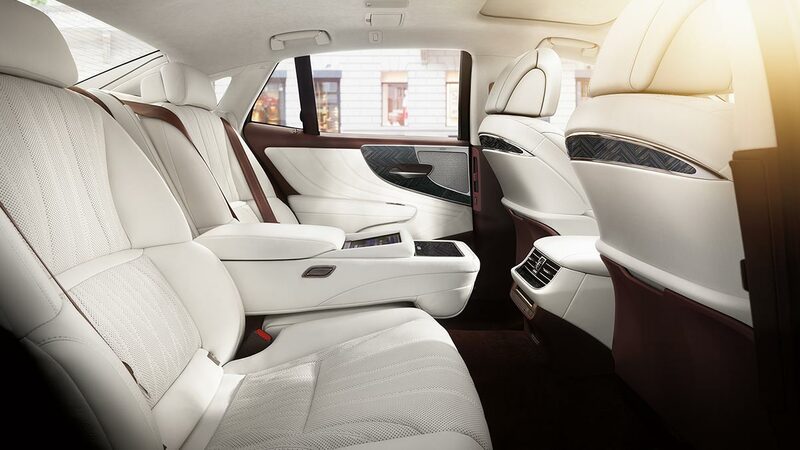 There is a control panel between the two rear seats in for the chief executive- it is that sort of a car. He or she can press a button and the seat next to the driver will fold up, all the way to the dashboard. After that the rear seats starts to move, a leg rest comes out and you end up with a reclining business class seat! Amazing. It is of course just for the CEO, the seat behind the driver clearly cannot do the same. So essentially the luxury 4 seater becomes a three seater. One small, rather amusing point. The driver would automatically aim for the fast lane, the one which has to have two occupants. As the CEO’s head is way way down the CCTV cameras would only register one person and would automatically issue a ticket. Yes, I know the CEO can afford it but still, it is a minor annoyance. I should add that once the CEO had his siesta he can press a button and sit like the rest of us! On the road the LS is silence personified, the 3.5 liter twin turbo just purrs along as one would expect. I should add that the various goodies such as the 10 airbags, the navigation with a 12.3 inch screen, the 12 speaker system are all included in the “base” price of 75 thousand dollar, the extras are primarily associated with the above mentioned special trimmings and of course the reclining seat and associated gizmos. I watched a very interesting comparison carried out by my old mate Justin Bell, son of Derek. Two legendary racing drivers. Justin and I did some testing some years back and I know that he is an excellent driver on and off the course. 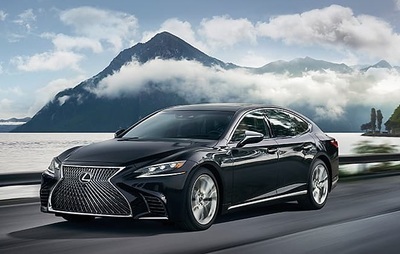 This time he compared the F version of the LS 500 against a top of the range Mercedes and while it was close, he declared the Lexus the winner. No mean feat against a company currently leading the F1 World Championship, having won it several years in succession. So you might be wondering how can I possibly mention the Toyota Avalon in the same article? Very simple. If you forget the reclining seat, the twin turbos and all the gizmos the Toyota will deliver most of what you need for 40 , yes, 40 thousand dollars. In the 2019 version you get 33 more horsepower (I did get wheelspin in first), a 9 inch touch screen, AppleCarplay, a head-up display, a surround view camera and rear cross traffic braking. It has tons of room, excellent safety ratings and great reviews from fellow auto writers. One interesting aspect which has me puzzled. 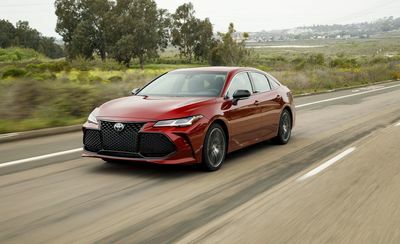 The new grill on the Avalon is very similar to the one on the Lexus to the point that from 30 yards you could confuse the two. Driven carefully the Avalon will deliver 31 miles per gallon on the highway, a lot less in the stop go traffic of San Francisco. All in all two very fine cars. The one at 111 thousand is a bit of a show-off-look what we can do product - at 75 thou it competes head on with Audi, BMW and Mercedes, while the Avalon at 40 thousand has to be the choice of money conscious customers.